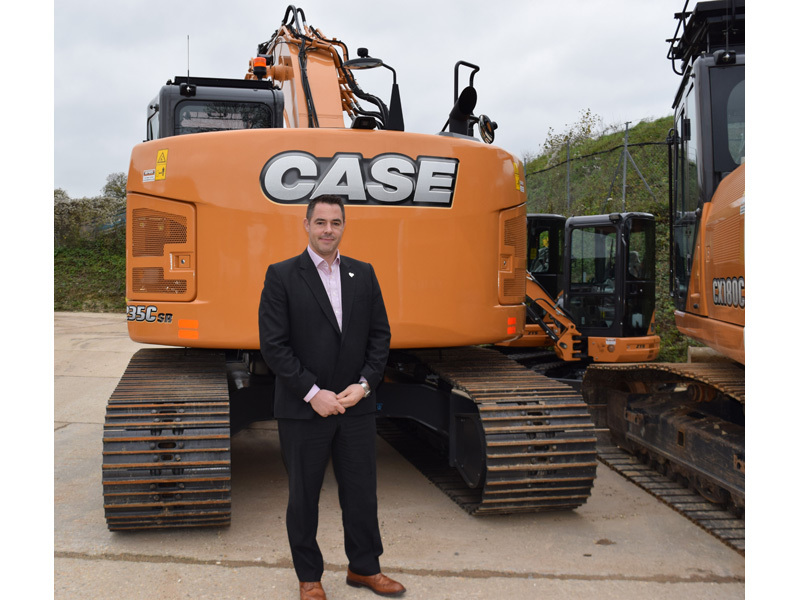 CASE Construction Equipment has further strengthened its national accounts team in the UK with the appointment of Matt Jennings, who will take up the role of strategic accounts manager for the south. Matt, who has 16 years' experience of working within the construction and plant sector, has worked for Finning for the past twelve years, the last four as strategic accounts manager, where he looked after a wide range of sectors including mining, waste and recycling, plus quarrying and steel mills. His responsibilities included looking after national key accounts, dealing with procurement teams, regional management and operations. Of his new appointment Matt said: "This is an exciting new role with a brand that has an excellent reputation for quality, plus a very strong portfolio of machines for all sectors of the construction industry. I'm looking forward to further developing our nationals accounts business, working alongside our excellent dealer network. Scott Freeman, CNH Industrial construction equipment business director UK & Eire, commented: "We are very pleased to have Matt on board. I'm confident that with his experience he will be able to help further develop this growing sector of our business. Having made a number of new appointments during 2015 to strengthen our sales and dealer support teams across the UK, as well as expanding our dealer network, we are now in a very strong position moving forward into 2016 to deliver first class service and support across all our customers base."